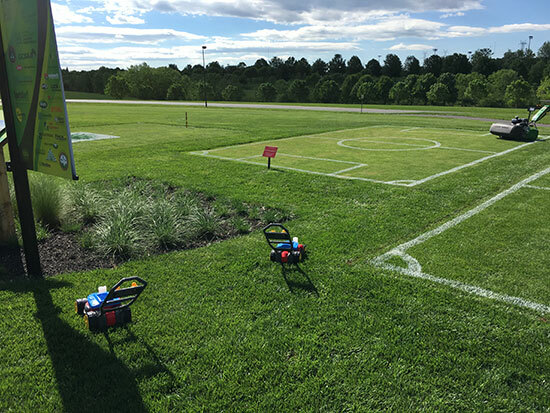 The Maryland SoccerPlex and Grass Roots, a cooperative arrangement between the U.S. Department of Agriculture and the National Turfgrass Federation, will open an outdoor educational exhibit on the grounds of the SoccerPlex. This interactive exhibit is based on the larger GrassRoots exhibit at the National Arboretum, which opened in the fall of 2014. 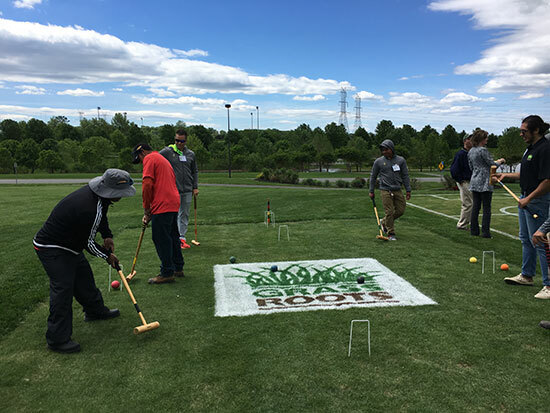 The interactive outdoor exhibit will include a kiosk with information on common turf diseases and pests, an irrigation systems exhibit, a history walkway and a rain garden. The formal grand opening was held May 3, and a public grand opening will be held May 6. 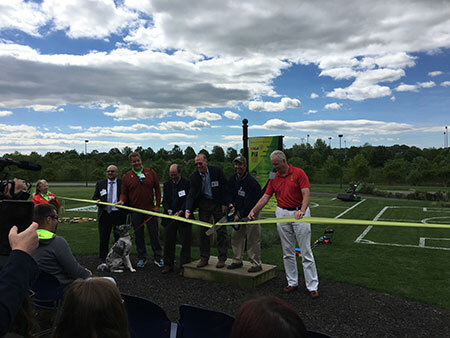 At the public opening, visitors will be able to walk through the exhibit and ask any lawn-care related questions to a panel of experts from the Maryland SoccerPlex, the National Turfgrass Federation and the U.S. National Arboretum. 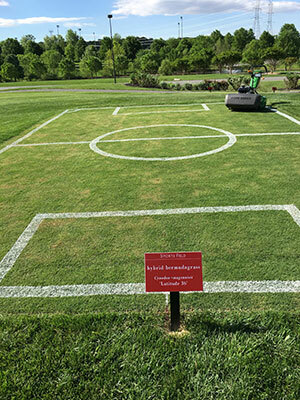 The first part of construction completed was the sports fields: four large beds that showcase Kentucky Bluegrass, Bermudagrass, a new type of zoysiagrass, zeon and synthetic turf. Based on results of the exhibit, zeon could potentially be used for more sports fields in the Mid-Atlantic region, according to the group. The second stage of construction included an additional 12 cool and warm season turf types from around the country.